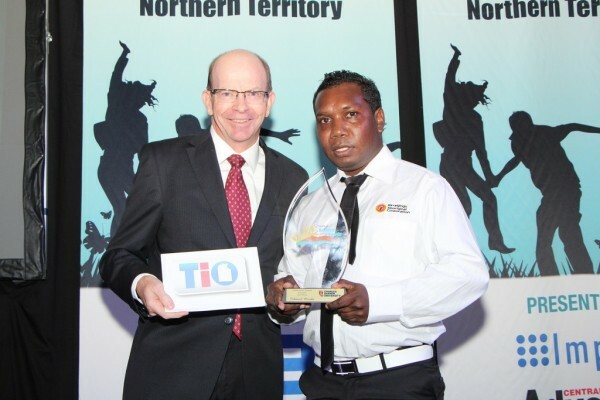 Roger Wilyuka, 23 of Titjikala is a well-respected Assistant Teacher at Titjikala School. He leads a fathers and sons reading program and mentors young fathers, encouraging them to be actively involved in their children’s education. Roger is currently enrolled in a Certificate IV in Education Support and participates in school council meetings alongside community elders. He runs School Holiday Programs and Sports programs and is a member of the local football team. Danzal Baker, 21 of Karama is a passionate dancer, rapper and actor, known as Baker Boy. He is a lead artist for Indigenous Hip Hop Projects known for their outstanding work with students in remote communities. Baker Boy has toured extensively in Australia, and performed in remote and regional Indigenous communities. Danzal’s debut single “Cloud 9” won multiple awards including a National Indigenous Music Award and his song Marryuna was voted 17th in Triple J’s Top 100. Christopher Teng, 21 of Marrara is undertaking a Bachelor of Law and Arts degree and has a strong interest in international relations. He is President of United Nations Youth, Northern Territory. Christopher is a member of the NT Round Table, the Youth Advisory Committee and has filled leadership positions to advance the causes and interests of young people. Christopher was awarded the Travers McLeod Award for outstanding contribution to UN Youth Australia. Maggie McGowan, 29 of Katherine is the creator of Magpie Goose where Aboriginal culture and stories are shared through the medium of fashion. Maggie creates design workshops for remote Aboriginal artists to enable them to get their designs onto textiles. The garments are produced in an Australian Accredited ethical factory and marketed to elevate the clothing to pieces of wearable art. Magpie Goose, has co-designed an empowerment program for young Aboriginal women. Daryl Lacey, 29 of Fannie Bay is dedicated to helping conserve Australia’s northern environments and Indigenous cultures. He was a senior ranger with the Dhimurru Aboriginal Corporation and is a Team Leader with the Federal Department of Agriculture. 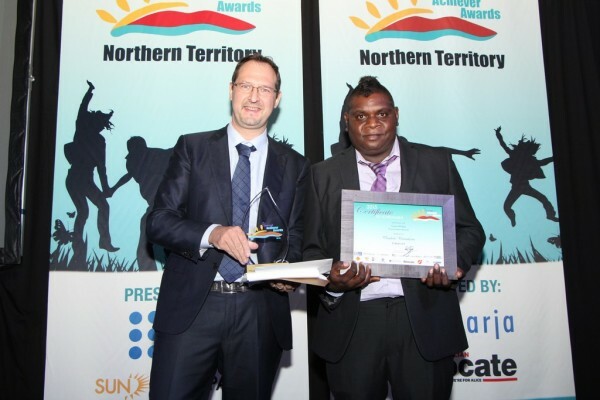 Daryl’s work covers the Top End with a focus on North Eastern Arnhem Land. He has created strong links and facilitated better outcomes for Northern Australian biosecurity efforts. Daryl is also an accomplished sportsman. Christopher Wilson, 29 of Acacia Hills graduated with an Engineering Science degree. He has spent his life in the civil construction industry, working on high profile projects across the entire Northern Territory. As Managing Director of Northern Australian Civil, he has seen considerable growth in the company. Christopher co-stars in National Geographic’s Outback Wrangler show, relocating problem crocodiles and has been an active crocodile conservationist for over 10 years. Alex Florance 27, of Palmerston founded Florance Electrical starting with only a van, they now employ 12 people. They focus on growth, staff training and offer great customer service. Alex designed a unique coded booking system and a cloud based intranet hub. These allow employees to access work remotely and makes Florance Electrical a 98% paperless company. Alex and business partner Courtney are currently building a mobile app that will change the trade industry. Frazer Oliver, 25 of Santa Teresa has been working as a ranger in the Ltyentye Apurte Ranger group for the past two years. Part of the Central Land Council Ranger program, the team focuses on managing cultural and natural resources throughout the Santa Teresa Region. Frazer has completed a Certificate II and III in Conservation and Land Management and numerous other accredited qualifications and is about to undertake a Certificate IV. Eloy Mason, 17 of Alawa provides up to 30 hours of care a week for his autistic brother Igen, also 17. Due to Eloy’s care, Igen enjoys a wide range of experiences and continually learns new skills. Despite Igen’s limited verbal capabilities, Eloy supports him to participate in a diverse range of activities including sport, drama and community performances. Eloy actively advocates understanding and acceptance of those with intellectual disabilities. Thomas Maxwell, 19 of Berrimah has just completed his rookie season in the Formula Renault Eurocup Championship. The championship is widely recognised as a development category for drivers on a pathway to Formula 1 racing. The highlight of his 2017 Eurocup season was racing at the prestigious Monaco Formula 1 Grand Prix. Thomas used his race car driver status to promote road safety in a St Johns Ambulance TV campaign. Phoebe Hooper, 18 of Katherine pushes for inclusion and awareness for the LGBTQIA community. Volunteering for a variety of community programs from a young age, he recently started his own non-profit, ‘Keep Talking NT’. Phoebe often funds the organisation’s Rural Pride events himself and has raised $1,000 for the Headspace facility opening in Katherine. Phoebe strives to expand Keep Talking NT’s activities to further the well-being of the wider community across the Territory. Aditi Srinivas, 28 of Darwin is an advocate for marginalised groups in the Territory. She is co-founder of the volunteer organisation WHAT RU4 NT?, a group dedicated to reforming NT law. She is a passionate advocate for LGBTIQ and women’s rights, serving on numerous committees and through paid work as a Legal Aid solicitor. She also raises awareness and appreciation of Indian culture. Alyson Stobo-Wilson, 27 of Darwin completed a Bachelor of Science with first-class honours and is now a PhD researcher and lecturer. She co-authored her first scientific paper on the spread of Calotropis procera through the Territory. Alyson contributes to the conservation of the northern savanna glider and raised funds for the project. She worked on a documentary called Wonder of Marsupials, telling the story of the discovery of the savanna glider. Eleanor Dixon, 25 of Elliott was awarded the Barkly NAIDOC Week Culture Award in recognition of outstanding achievement in Performance, Creative Arts and/or Cultural Endeavours. She was invited to perform at the 2016 Nannup Music Festival and spoke at the Australians Worldwide Music Expo about the real challenges for Indigenous musicians. Eleanor volunteers and supports local events including the Desert Harmony Festival, Winajikarri Music Centre and Bush Bands Bash and is currently touring with the Violent Femmes. 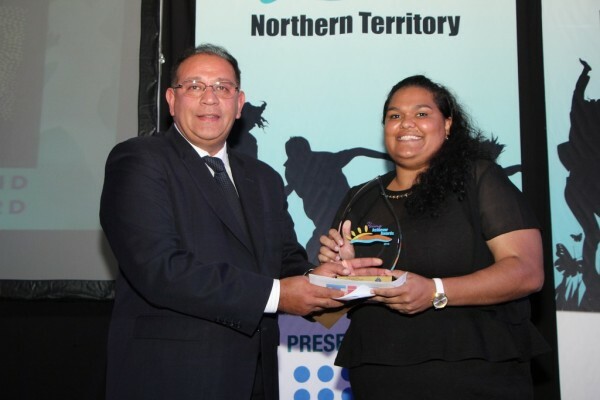 Ineke Wallis, 22 of Nhulunbuy is the Executive Manager for the East Arnhem Regional Council, a Member of the Chief Minister's Round Table for Young Territorians and the Anglicare Youth Advisory Board. She represented Australia at the Expert of Mechanism for Human Rights of Indigenous Peoples at the United Nations. Ineke won the 2016 Youth Citizen of the Year and she will be a Mentor at the 2017 National Indigenous Youth Parliament. Jade Sharp, 25 of Leanyer began teaching last year at Stuart Park Primary. She incorporates her knowledge of Visible Learning Techniques in her classroom and is actively involved in school activities, with her students performing in NAIDOC week activities. Jade is committed to ongoing personal development, and applies new ideas to her teaching. She has established an encouraging learning environment, allowing her students to achieve their full potential. Jamie Kokles-Ridgway, 25 of Nhulunbuy started Travelling Tadpole Swim School in 2015. The Swim School aims to help prevent drowning deaths of children under five, through swim lessons, effective education and a focus on engaging aboriginal children. Jamie’s business has five certified instructors and she requires all staff to participate in ongoing training. The School won ‘Business of the Year Award 2016’ from the East Arnhem Chamber of Commerce. Jasmine Anderson, 25 of Karama was one of the first Indigenous women and the first mother to be selected to play in the Women’s National AFL competition. She plays for the Adelaide Crows Women’s AFL Team and is studying a Bachelor of Education Primary Teaching. She wants to inspire Indigenous youth to achieve their goals and to educate children about the benefits of education, health and nutrition. Matilda Alegria, 27 of Parap launched her first theatrical collection showcase ‘A Minute’s Warning’ in 2012, the first high fashion showcase ever to be produced in the Territory. She has since launched a further two collections and established her own fashion and event business. Her focus is on large scale events, custom made wedding dresses and special event attire. Matilda is passionate about the fashion industry in the Territory. Neily O’Connell, 26 of Araluen is the Youth Engagement Officer at Headspace. She facilitates the Youth Advisory Group to provide mental and physical health services to schools and the community and to decrease the stigma around mental health through education. 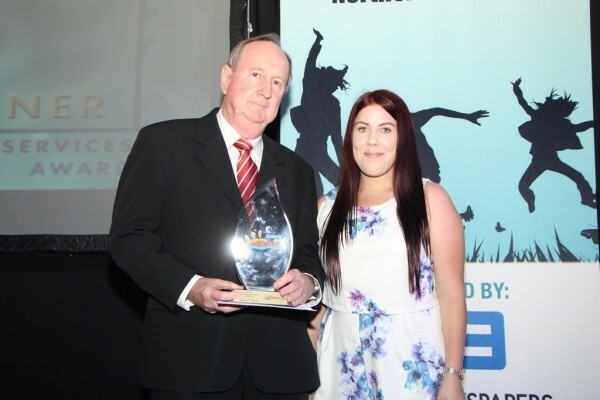 Neily is also the volunteer Director and Company Secretary of Alice Springs Community Financial Services, working with a team to support the community through scholarships and sponsorships. Rian Smit, 26 of Lyons is a mental health advocate, helping to reduce the stigma by sharing her own story. Rian has worked with the Foundation of Young Australian's Social Pioneers Program, and on the ‘Live it - Speak it’ program, through the National Centre for Excellence in Youth Mental Health. She co-designed Darwin’s first youth specific LGBTIQ group and is currently creating a one-on-one Peer Support consultancy business. Rian will also soon commence studying psychology. Philadelphia Hughes, 27 of Marrara started working as a Telesales Consultant, was promoted to Business Development Representative and then decided to study. On completion of her Certificate IV in Frontline Management, she was awarded Most Outstanding Student. Philadelphia undertook an Indigenous Cadetship and has completed her first year Bachelor of Psychological Science degree. She won the National Training Awards for Aboriginal and Torres Strait Islander Student of the Year and is now the Australian Ambassador. Philadelphia volunteers as a Lifeline Crisis Support Counsellor and the University Aboriginal Student Ambassador. Hayley Kelly, 18 of Anula is the first Northern Territory person to receive a 100% score in the Advanced 1 Ballet examinations and only the 5th in Australasia. She has performed multiple times with The Darwin School of Ballet and The Beat Festival. She performed in two special Darwin productions about the effect bullying, alcohol and drugs has on teenagers. Hayley is currently completing a Diploma in Dance and has just been accepted into the ‘Sydney Dance Company Pre-Professional Year, where she will undergo a year of full time training. Amanda Lilleyman, 28 of Darwin is studying migratory shorebird ecology in Darwin Harbour for her PhD research. Considered a local expert on shorebirds, she is often contacted by the media for opinion pieces and research publications. Amanda coordinated a team of shorebird researchers to help catch, band and track shorebirds in Darwin Harbour for the fieldwork data collection stage of her PhD project. She successfully organised the 9th Australasian Shorebird Conference in Darwin with an attendance of 120 delegates. Amanda was the recipient of the 2013 ANZ Holsworth Wildlife Research Award. Jerome Gilbert, 23 of Nauiyu works as an Aboriginal Community Worker at Nauiyu Health Centre and has a Certificate 3 in Community Services. In 2015, at the Chief Ministers Youth Round Table, they discussed Jerome's project for targeting bullying and suicide prevention. Jerome held meetings, brainstorming with young people about bullying and how it can lead to suicide. Working with NT Health Dept, Anglicare, Red Dust and Carers NT, Jerome held a healing camp on Tipperary Station. A Safetalk teaching session about suicide was held and a video was produced. Ryan Gaskon, 18 of Alice Springs is a YMCA climbing instructor and enjoys passing on his knowledge, passion and enthusiasm to younger climbers. Ryan co-ordinates and participates in recreational climbing events with his local climbing club. He was involved in the initial developments of the Red Centre Nats, now a fixed annual event increasing tourism to the community and boosting the economy. After completing tertiary studies, Ryan hopes to return to Alice Springs and work in the Adventure Tourism industry showcasing the Northern Territory to national and international tourists. Sarah McLaughlin, 21 of Durak has been a member of St John Ambulance NT for the past thirteen years. She creates a full training program and social calendar each year for the Casuarina Cadet Division. Sarah led a St John Ambulance team on a health care and first-aid project in East Timor in 2015, and was the youngest team member. Sarah has a passion to improve health and wellbeing in Aboriginal Communities, and is currently researching and planning a proposal to put to the St John Board. Rebecca Ellison, 27 of Alawa studied Sport and Exercise Science while competing in cycling and triathlons, but turned to women's health after the birth of her son. She has since studied teaching and nutrition and is currently studying Herbal Medicine. Rebecca is President of the Childbirth Education Association where she aims to improve the confidence of pregnant women and mothers. Rebecca started a business, 'Nourished Strong', a holistic women's and infant's health consultancy, focusing on a natural approach to fertility, pregnancy and infancy through nutrition, body awareness and gentle parenting. Alicia Kent, 22 of Karama volunteers roles with Headspace, ShoutOut, YEAH and City of Darwin Youth Advisory Group, where she participated in the CEO Sleepout raising money for homelessness. Alicia initiated a Midnight Basketball donation drive, collecting brand new socks, drink bottles and second hand shoes for young people who couldn’t afford them. She was successful asked Coles to donate fruit for 80 people every Saturday for 7 weeks. She is passionate about youth and mental health work and is currently undertaking a Diploma of Youth Work. 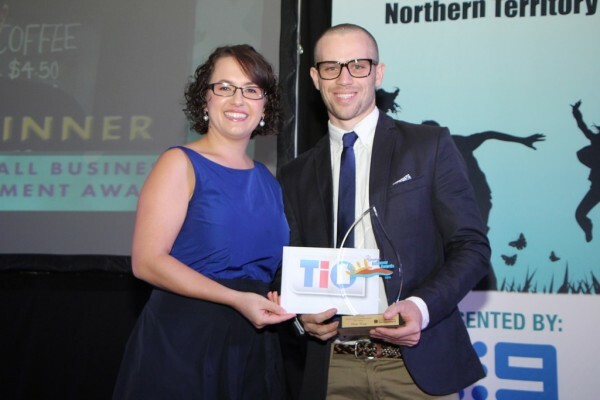 Trevor Oliver, 28 of Ludmilla launched Territory Laundry Services in 2014, providing commercial laundering for hotels and restaurants. Trevor supports and sponsors various not for profit organisations, such as the ‘Taminmin Fishos’. This program encourages “at risk” youth or those who have experienced alcohol or drug misuse to get outdoors and experience nature. His business also sponsors the Starlight Children’s Foundation and Young Diggers. In twelve months Trevor’s business has grown from two staff members, to twelve during the peak season. Trevor is studying to be a Certified Practicing Accountant. Bethany Bre-Ann O'Shea, 17 of Driver has, for several years been a carer for her Mum who suffers from mental illness and diabetes. Bethany has taken full responsibility to give her mother the best care possible. She cares for her little sister, who also has diabetes. 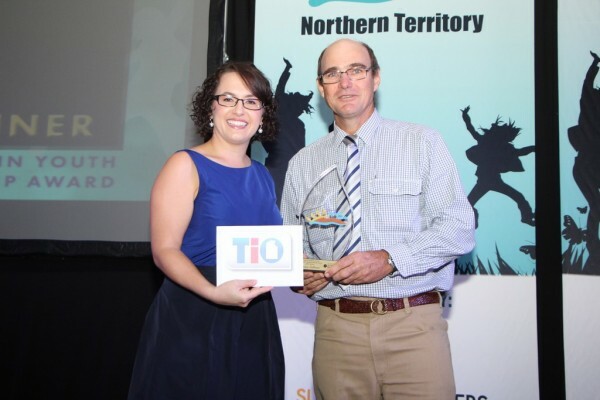 Bethany is the current Northern Territory Representative for ‘Young Carers’, and the 2016 recipient of the NT Division of the Young Carer Award. During school holidays, Bethany assists Carers NT by taking young carers on outings to provide some respite from their caring role. Kate Axten, 26 of Alice Springs joined Centralian Middle School in 2014 as a graduate Year 7 teacher. She has coached the local and school basketball teams and is currently player and assistant coach of the Yirara girls’ soccer team. Kate was selected among 10 other Indigenous Australians for the Classic Wallabies Exchange to South Africa, a volunteer leadership program for Indigenous youth. Kate received a 2015 NAIDOC Award for Female 25 and over and she plans to undertake a Master’s Degree in Education. Abby Cubillo, 16 of Karama started playing basketball in 2007 and has since played in 5 National Championships and captained the Under 18 team in 2015. Abby was selected as the only Northern Territory representative in the Australian National U17 Sapphires Team, competing in the 2016 FIBA Oceania Qualifying Tournament. Her short term goal is to settle into the AIS and gain selection in the Australian U17 Sapphires Team to compete in the 2016 World Championships in Spain. Her long term goal is to advance to the WNBL. HUGH GANGE, 27 of DARWIN Venture North was established in 1996 with a major focus on the culture, heritage and nature of the region. In March 2010 Venture North’s head guide, Hugh Gange, seized an opportunity to purchase the business with his brother, Aaron as joint partners. Hugh’s has developed strong and respectful relationships with Indigenous Traditional Owners, which have granted him a concession to operate a unique safari style camp in the Garig Gunak Barlu National Park. Today Hugh, winner of the Northern Territory’s Outstanding Interpretive Guide is, head guide, boat skipper, camp host and tour manager of this multi award winning company that just recently won their third consecutive Brolga Tourism award. 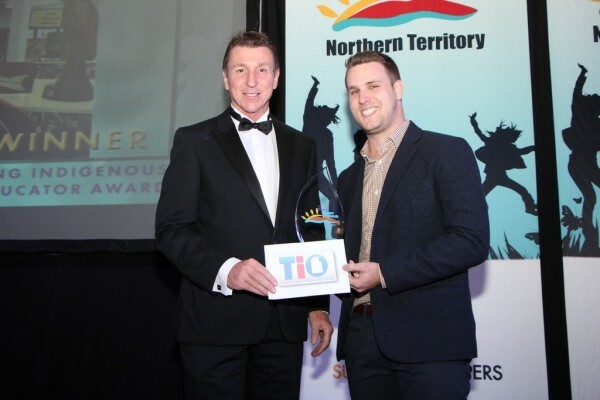 Hugh’s ability to engage with Traditional owners and operate a unique eco-friendly tourism operation has placed Venture North as a leading Top End Tourism Business. RACHAEL MULLER, 25 of IMPANPA has been a teacher in the remote Aboriginal community of Imanpa, for over three years and is a firm believer in; ‘we teach what we are’, and has committed herself to a lifelong learning approach. Rachel often participates in professional training and development programs and gives up weekends and holidays to improve the learning opportunities and outcomes for her students. Rachael has been instrumental in introducing a variety of programs which have improved learning outcomes for her students such as creating a quality learning environment for a range of students with special needs. Rachael has successfully improved attendance, community partnerships and last year was proud to have facilitated the first two students in the college’s history to successfully complete a year 11/12 unit towards their school leavers certificate. Rachael is inspired to adopt and learn about other teaching methods to help improve success rates for her students and other youth within the community. JANE ALIA, 18 of DARWIN arrived in the Northern Territory as a South Sudanese refugee from Uganda in 2008, since her arrival she has been advocating for the rights of refugees and campaigning for initiatives which allow them to assimilate properly into Australian communities. Jane is a member and Vice Chair of MyNT where she has a voice on youth issues and a support network to make youth ideas a reality. In 2012, Jane was the key note speaker at the International Woman’s Day Celebration, where she spoke on the chosen theme of “Connecting Girls, Inspiring Futures”. Jane is dedicated to making a change in perceptions of asylum seekers and refugees through her involvement with the Australian Immigration and Refugees Women’s Alliance, and her work through the Melaleuca Refugee Centre. Jane is also the Assistant Youth Leader and Secretary of the New African Women and Girls Group, formed from the African Australian conference in 2011 where Jane took part to ‘Empower, Unite and to raise Awareness’ of the African culture. VANESSA MOUNSEY, 26 of DARWIN has spent over 15 hours per week for the past 4 years, volunteering in the Community of Bagot and regularly visits Bagot Community members in hospital to provide comfort to families who have lost loved ones. Each week, Vanessa volunteers as a lifeguard so children from the community can swim at the Leanyer Water Park which would not happen without her support. Vanessa is an active member of the Bagot Indigenous Victory Church and assists in the supervision of visiting overseas and interstate volunteer groups who can spend up to one month in the Bagot Community. Vanessa is a strong believer in the importance of sport as a way of providing positive benefits to women, especially during teenage years. For many years Vanessa was a champion Territory volleyball player, she uses these skills to encourage other young people in the Bagot Community to strive for their dreams and have a healthy outlook in life. DAVID GRAZIE, 22 of DARWIN lives with and aids in caring for friend Jake who has a degenerative neurological disorder - Friedricks Ataxia. With David’s support and care which he provides 24 hours a day seven days a week, Jake is able to live in his own home, be a part of his local community, go camping, socialise with friends and pursue his individual interests. David met Jake while undertaking secondary studies where they became friends and are now house mates living in Humpty Doo. David took on the role of Jakes carer willingly, and although he is not a formally trained carer, he has obtained skills on the job to support Jake’s complex care. David’s selfless support and dedication for his best friend has helped Jake exercise control and choice in the life he wants to lead. Facing daily challenges David takes on his caring role without complaints and hopes he can continue to benefit Jakes life into the future. LIONEL GARAWIRRTJA is the choreographer and artistic associate of The Chooky Dancers. Lionel and The Chooky Dancers are originally from Elcho Island, and combine traditional indigenous and contemporary dance with comedy and impressive acrobatic skill. Lionel has achieved a high level of professional recognition both nationally and internationally with numerous successful tours, appearances in film and through YouTube. The Chooky Dancers have performed in front of audiences at major festivals and events throughout Australia, China and Taiwan. One of the biggest achievements was performing as part of the Beijing Television Lunar New Year Spring Festival celebrations in 2010, with an average viewing audience of around 5 million. Lionel is a great ambassador and role model for the Territory and hopes to continue to advocate Healthy Living and healthy decisions for young Indigenous people. BYRAN DAVIES, 26 of DARWIN Since graduating from Charles Darwin University in 2009, Bryan has established himself as a sought after engineer. Last April Bryan was invited to join one of 8 teams in the MERIT competition an International engineering leadership competition, with teams from across the world. As the only selected Territorian on the team, the team travelled to London for the finals where they placed 2nd overall. Over the past year Bryan has been involved with the earthquake recovery methods in New Zealand assisting with the strengthening and repair solutions for churches, houses, commercial business and industrial buildings. Bryan is a member of the Young Engineers Australia - Northern Division, the youngest member of the Young Engineers Australia and was voted as the Northern National Representative in 2009. Now working back in Darwin, Bryan is a strong advocator for youth to consider engineering and works closely with Charles Darwin University and Young Engineers Australia in promoting engineering as a career option. SAM EDWARDS, 22 of DARWIN is a passionate and dedicated employee of Surf Lifesaving NT, he started his career as a Life Guard and has now currently moved on to supervisory and teaching roles within the organisation. 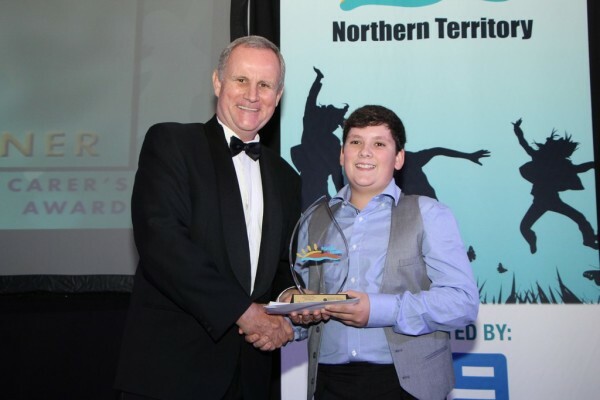 Sam has recently taken on the role as the youngest ever - Club President at Mindil Beach, and is a competitor and team manager for the NT Elite Surf Lifesaving interstate team for the Northern Territory. Although a paid employee, Sam dedicates a lot of time on a voluntary basis within the organisation. Sam has maintained his gold medallion status and is currently teaching a Certificate II in Public Safety and Aquatic Rescue in Darwin High School, Kormilda College and St Johns College with the hope to encourage other young people to practice water safety. In 2012, Sam was named the Northern Territory Surf Lifesaving Volunteer of the Year and will represent the Territory in the National Surf Lifesaving Volunteer Awards this year. EVELYNA DHAMARRANDJI, 23 of ELCHO ISLAND is a young indigenous youth worker within her community of Galiwin’ku on Elcho Island, Evelyna is passionate about improving life choices for young people and creating more opportunities in remote communities. Working in the Youth Services team and in partnership with Marthakal Young Leaders, Evelyna delivered the first youth led Youth Festival, namely the Galiwin’ku Youth Spirit Festival. Highly regarded by her peers for her strong leadership skills, she was nominated by the leaders and elders of her community to assist and engage in a three year strategic plan for youth, sport and recreation as well as consultation and development to form the first Galiwin’ku Youth Council Because of her achievements and as a role model to other indigenous youth, Evelyna has successfully been selected for several leadership and sporting opportunities interstate and regionally. JEREMEY GILLEN, 15 of ALICE SPRINGS is a passionate student and a local advocate for Climate Change in Alice Springs. As a regular volunteer at the Arid Lands Environment Centre, Jeremy established the Australian Youth Climate Coalition Group. Since the establishment, the Group have received over $8,000 from the NT Community Climate Change grants, which has allowed Jeremy to organise stalls at the local “Eco Fair’ as well a put on a concert called “Solar Sounds”, which was completely powered by solar energy. Jeremy is the youth representative on the Alice Springs Community Advisory Panel for the WaterSmart Community Water Rules program. Through his involvement within these groups, Jeremy leads people to take action to resolve climate change and to build renewable energy power stations. Jeremy hopes he can continue to influence members of the Alice Springs community, and instil a message which will allow for a better and cleaner future for all Territorians. Samantha Young, 26 is a NIDA graduate, actor and director and has performed and devised her work in the dramatic arts, nationally and internationally. Samantha has performed with the Sydney Theatre Company, Darwin Theatre Company and The Royal Opera House- Covent Garden London in which she performed in the musical "The Rose and the Ring" at the age of 18. Samantha was also the youngest actor to perform in a leading role in the recent production of 'The Business' with the Belvoir Theatre Company. Samantha has recently opened the Melbourne Festival with the cabaret act 'The Love Birds' and also headlined the 'headlined at the prestigious venue 'The Forum' at the Festival. Over the past 3 years, Samantha has successful employed over 30 Northern Territory Artists and 15 interstate artists to develop her own works. Within the Darwin community, Samantha has been an advocator for youth arts, and mentor for young actors. Raine Pugh, 24 has worked on many stations in and around the Northern Territory as a stud groom, contracted musterer, as a jillaroo and governess. Her passion for supporting those in regional and rural areas of the Northern Territory has led her to study a diploma in Equine Tactile Therapy as well as a Certificate IV in beef production. Through her studies Raine has been able to conduct research in the Beef production industry, with a strong focus on pregnancy testing and artificial insemination in cattle and horses. Raine is currently working on Kidman Springs Station, 400km west of Katherine. Some of her projects include trialling different bovine breads or cross breeding to develop cattle breeds which are sustainable in the northern tropical climate. Her work aides the rural sector by trialling different agricultural activities and determining their value for further application in the industry. Laruen Moss, 24 was selected as one of the few returning members for the Youth Ministers Round Table for Young Territorians in 2011 to provide leadership to new members. Recently, Lauren developed the "Skin Deep Project", which looks at how outcomes can be improved for Young Territorians in regards to body image and eating disorders. The Skin Deep Facebook page currently has over 211 followers; she hopes by linking people to this page it will help raise awareness. Lauren also initiated a forum in collaboration with Headspace Top End, titled 'Happy, Healthy and Resilient: Exploring options for Young Territorians with an eating disorder'. Through her work as a Youth Ambassador and Reporter for ReachOut, Lauren created content such as a mobile application "ChangeMake" to reach other young people to make a difference on issues affecting young people throughout Australia. Lauren hopes to continue to make a difference by identifying the major needs of young people within the Territory. Lachlan Way, 22 has become a well-known community volunteer in Howard Springs. Supporting himself as an apprentice electrician, Lachlan is a member of the Howard Springs Volunteer Fire Brigade, which he joined at the age of 16 and has since become the youngest Volunteer Crew Leader within the NT Fire and Rescue Services. Since joining the Volunteer Fire Brigade, Lachlan was deployed to Victoria to assist with the most recent fire threats and also to Alice Springs to aid in assisting with the control of wildfires threatening Alice Springs and surrounding tourist centres. Lachlan is also part of Wildcare NT where he assists rescuers and carer's in the rehabilitation of native reptiles and is an avid member of NT Parks and Wildlife as a contracted snake catcher. Lachlan has attended over 250 snake call-outs in the local community and continues to educate the community on the safety when removing these reptiles. Avik Mason, 17 is the eldest of five boys and cares for two of his younger brothers Igen aged 11 and Omri aged 13, who both have special needs. Igen has severe autism with limited speech and Omri has delayed development. Avik undertakes the care of his brothers with enthusiasm and diligence and strives to ensure that they successfully participate in daily activities and community events, while continuously trying to develop their skills. Avik is actively involved within many activities to assist in the care of Igen and assists with daily living activities, collecting him from school and even teaching him how to swim. Avik is also actively involved in the mental development of his brothers; he has inspired Omri to partake in school and sporting activities which have allowed his brother development to accelerate. Avik is working towards getting into Biomedical Engineering upon completing his HSC with the aim to enter the field of medicine upon completing his studies. Samantha Young, 26 as a NIDA graduate, actor and director has performed and devised her work in the dramatic arts nationally and internationally. She has performed at the Belvoir Theatre Company, Sydney Theatre Company, Darwin Theatre Company and The Royal Opera House - Covent Garden London. Samantha has recently opened the Melbourne Festival with her cabaret act 'The Love Birds', and in 2012 Samantha will be touring the show 'The Love Birds' internationally and headlining at the "Spegieltent" at the Adelaide Festival. Samantha was given the opportunity in 2011 to travel to Bulgaria for research for her first full length play - 'To the End of Reckoning', based on Australian Jock Palfreeman, who is currently serving a 20 year sentence in Sofia Central Prison in Bulgaria for the murder of a Bulgarian national. Samantha's involvement with local youth has led her to involved in Corrugated Youth Arts, become a JUMP Mentee, and recently a co-director in 2011 with Matthew Lutton. Jessica Davies, 23 Since completing her first class Honours Research Degree, on the "Impact of Parkinson's disease upon driving performance", Jessica has been able to assist in improving road safety for all Australians. Throughout the program, Jessica's results raised awareness to support safe drivers with disabilities to continue driving and to reduce discrimination. Her research has since been presented at interstate and international conferences, within health professional forums and has also been published as a book chapter within a well renowned science journal. On completing her research Degree, Jessica has become one of two graduates working at Royal Perth Hospital working in the areas of general medicine, advanced heart/lung cardiothoracic, renal, diabetes and urology. Jessica hopes she will be able to learn all she can in this role to bring back her knowledge to Darwin with the aim to improve the lives of Indigenous Australians suffering renal haemodialysis within remote areas of the Northern Territory. Joel Carroll, 25 won a gold medal at the 2010 Delhi Commonwealth Games and Gold at the Champions Trophy as a member of the Kookaburra's hockey team. Joel represented Australia on the European Tour where he aided the Kookaburra's to win the 4 Nations event. He represented the NT Stingers at the Australian Hockey League in Rounds 1 & 2 only to be struck by injury. He recently returned to play for Australia in 3 Test matches against New Zealand, India & Pakistan. In December 2011 Joel was selected in the Olympic squad and is on track to be part of the 2012 London Olympic Games. Although based in Perth, when Joel returns to his home in Darwin he is very active with the hockey community, by playing with the Northern Territory Stingers and assisting with coaching and mentoring. Joel has taken on roles as an Indigenous Ambassador for the National Indigenous Hockey Program and works with the David Wirripanda Foundation. Emily Gray, 27 believes that the Northern Territory is heavily reliant on imported foods which have a large and unsustainable carbon footprint. Working tirelessly as a volunteer in local community garden projects such as aiding in the setup of Lakeside Drive Community Garden, Emily is hoping to change the culture of the Northern Territory. Emily is currently working at Marrara Christian College delivering two Horticulture elective high school classes with the vision of setting up large permaculture gardens on site, whilst also volunteering at many public events and working bees at the Lakeside Community Garden. Through all her work Emily is involved in the promotion of Darwin Gardens Education Network and other permaculture initiatives, where she encourages others to grow fresh produce. Emily's ultimate goal is to provide remote communities with training and opportunities to produce their own gardens to improve health and wellbeing through local food production. Daniel Walton, is an Executive Chef at the Santa Fe Cafe© in Berimah, and has achieved much more in the hospitality industry than those twice his age. Ten years ago when he first commenced his certificate in commercial cookery, the highly awarded chef has worked in some of the world’s most prestigious restaurants, perfecting his trade and increasing his passion for food. Learning all he needed to know internationally he is now back in Darwin producing meals that satisfy the international tastes of his customers and working towards opening his own restaurant in the near future. Rebecca Healy, is aspiring to be a professional business consultant and is in the process of establishing her own virtual assistance business with a particular focus of regional and rural business development. Overcoming significant obstacles, Rebecca has become a prominent figure for youth creating a positive influence for disadvantage youth within the Barkley Region. Rebecca has been apart of many credible forums including the Chief Ministers Round Tables of Young Territorians, the Youth Justice Advisory Community, Northern Territory Youth Affairs Network, the Youth Justice Advisory Committee and the Barkly Shire Councils Local Advisory Board. Honeylyn Lisson, has made a significant contribution to the lives of others in the community through her volunteer work with the Red Cross, in her position as President of the Student Representative Council at Casuarina Senior College (CSC), a member of and office bearer in the United Nations Youth Association NT, and as representative on the Northern Territory Government’s Youth Minister’s Round Table of Young Territorians in 2009. Honeylyn is particularly focused on ending world poverty and hopes in the future to volunteer abroad for either a non-government organisation or the United Nations. Daly Kelly, has thrown himself into many different community activities with enthusiasm and commitment. Daly spends many hours volunteering for the St Vincent De Paul Society, at World Youth Day, for Clean Up Australia Day, Engineers Australia, at Charles Darwin University, and as a junior rugby coach. 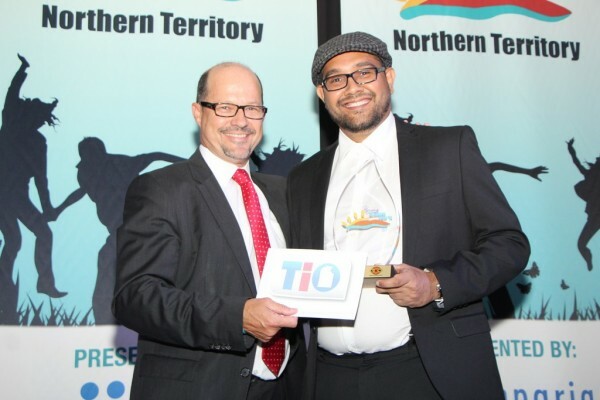 Daly has been elected as a leader in many of these voluntary roles where he has used these positions as a positive role model for the youth of the Northern Territory. Daly is married with one son and is a compassionate and dedicated volunteer within his community. Samantha Penny, has become a pillar of emotional strength for both her mother, who suffers from a spinal injury and her older sister who has autism and suffers from severe depression. Born into this caring role and suffering Aspergs Syndrome herself, Samantha embraces all aspects of her role as a carer and family member. Samantha is constantly advocating for both her disease and that of her sisters, teaching herself how to speak publicly she is constantly fundraising for autism foundations throughout the Northern Territory. 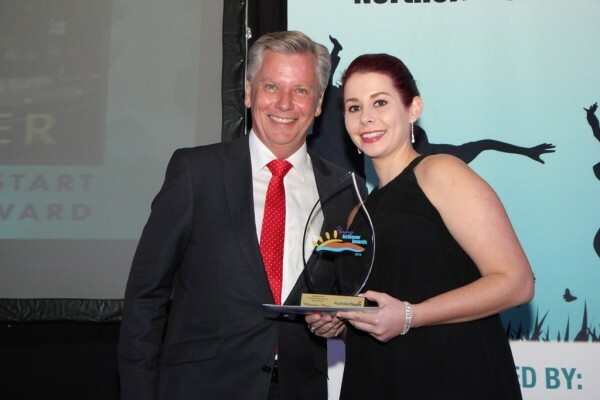 Congratulations Samantha Penny, finalist The Northern Territory Government Young Carer’s Award. Matt Cornell, is a passionate and talented Territory artist who has performed in numerous professional engagements locally, nationally and throughout Europe and South East Asia. He holds an extreme artistic repertoire spanning from choreography to live contemporary dance and theatre, and photography. Recently Matt has been awarded a danceWeb scholarship to Vienna and is a JUMP mentee. With a goal of opening his own professional performance company, he aims to employee staff and to establish his own unique style in delivering world class artistic productions within the Northern Territory. Jacinta Kelly, has a passion for Science and Engineering which has led her to graduate from Charles Darwin University in 2009 with a bachelor of Engineering/Bachelor of Science with first class honors and publish an academic paper with Dr Wee King Soh on “an analysis on free convection flow in building ventilation”. 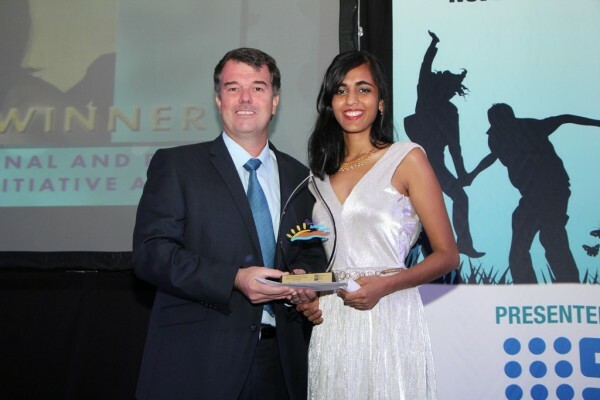 Jacinta’s involvement in community activities such as a volunteer at the Young Engineers Australia where she promotes and inspires young children to move into the science and engineering field saw her awarded the Australian Federation of University Women Award. Desmond Abbott, currently represents the Australian “Kookaburras” hockey team, winning gold at the World Cup, the Champions Trophy and the 2010 Delhi Commonwealth Games. As a young indigenous man, he is currently on a joint Australian Institute of Sport and the Northern Territory Institute of Sport Hockey Scholarship in Perth. As Captain of the Territory Stingers in the Australia Hockey League he won the Player of the Tournament. Desmond has played 88 International caps, scoring 52 goals and was recently selected in the International Hockey Federations All Star Team. Benjamin Campbell, is one of seven indigenous trainee rangers employed under the Ingkerreke’s Working for Country program which enables young indigenous people with the skills required, to become employed in the field of conservation and land management. As a senior member of the team, Ben is responsible for managing the biodiversity and cultural assets of the Iwupataka Land Trust, north of Alice Springs. As an integral part of the program, he has developed and implemented a variety of land management initiatives, including fire management, weed and feral animal control and the monitoring of threatened species in the area. Daniel Walton is an Executive Chef at the Santa Fe Cafe© in Berimah, and has achieved much more in the hospitality industry than those twice his age. Ten years ago when he first commenced his certificate in commercial cookery, the highly awarded chef has worked in some of the world’s most prestigious restaurants, perfecting his trade and increasing his passion for food. Learning all he needed to know internationally he is now back in Darwin producing meals that satisfy the international tastes of his customers and working towards opening his own restaurant in the near future. Joseph Johnson, has been a volunteer for the Australian Red Cross, as a SHAK advisor for the last 3 years. Through his dedication and passion, Joseph has assisted in developing the Youth Recreation Centre which he regularly contributes to. Joseph is now qualified and runs camps as a peer support helper, assisting young people get through tough times and providing a positive outlook on life. Joseph has taken on the position as the new Create Foundation Coordinator as an ongoing consultant, assisting and advocating young people in care. Leah Flanagan, has become one of the most talented singer-songwriters in not only the Northern Territory’s music scene but also on a national level, making major contributions and bringing national awareness to the Northern Territory music scene. Leah’s achievements and performances are impressive they include the Tamworth Country Music Festival, The Dreaming Festival and the Adelaide Fringe festival. 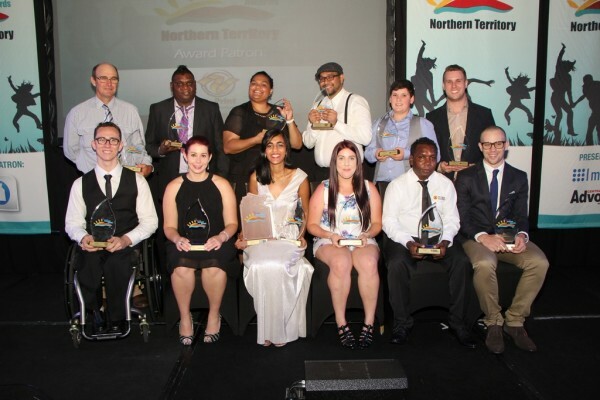 To top off the long list of performances, Leah was recognised last year as Emerging Artist of the Year, in the Northern Territory Indigenous Music Awards. 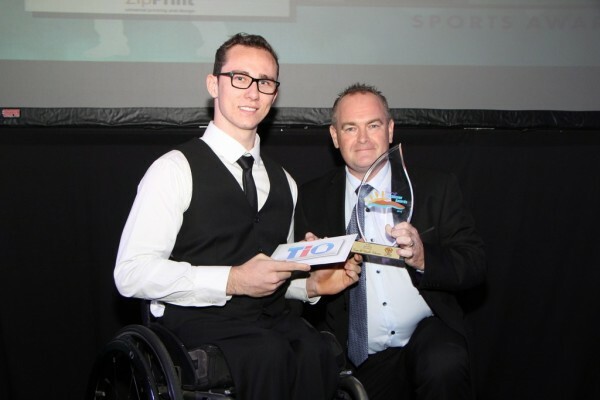 Desmond Abbott, currently on an Australian Institute of Sport Hockey scholarship in Perth, works full time whilst maintaining an extremely high calibre of achievements for his sport. Desmond’s achievements has seen him apart of the NT National Championships, the Australian Hockey League, and his biggest achievement to-date; selected in the Australian Men’s Hockey team – the Kookaburra’s. Desmond is currently hoping that he will be selected as a player in the Australian Men’s Hockey Team for the this years Olympics in Beijing. Michelle Walker, as a Water Conservation Officer in Alice Springs initiated GreenPlumber Training, which provides awareness to plumbers on how to be more environmentally friendly when it comes to their workplaces. A more recent project, Michelle worked with Santa Teresa on water education for remote aboriginal communities. Her passion extends through her many projects to ensure that knowledge and awareness of the environment is captured all around the Territory. AJ Kulatunga, gave up a secure full time job to pursue his dream of running his own business. Taking a chance, AJ’s IT consulting firm has taken off with flying colours. AJ has secured many high profile contracts, and has been able to maintain those relationships through repeat business with his warmth and ability to provide security and leadership. Not only does he plan to take his business national, he also produces programs for youth businesses and is become a leading source of inspiration for all young entrepreneurs. Rachel Meldrum, has been awarded both the Northern Territory Chief Minister’s Award in science and the Menzies School of Health Research. Her honours project involved studying aspects of Fusarium wilt disease of bananas, which she was awarded with a traineeship, with the Department Primary Industry, and awarded a grant of $10,000 for further study of the disease. More recent studies are with the Northern Territory Fisheries investigating aggregating behaviour of the Black Jewfish. Rachel hopes to achieve sustainable fishing of the Jewfish to allow custodians and fishers to use stocks without over fishing. Kelly Casement, is currently a governess at the Allambi Station in the middle of the Northern Territory, 100km from Alice Springs. Kelly cares for two young boys, who she assists in schooling through an Interactive Distance Learning program. Kelly has appeared on an ABC television show telling her story as a governess in the outback and her experiences. Kelly has also been invited to speak at Women’s days, children’s outback education, isolated parents association and organises the biggest outback tutors muster, to raise money for remote teachers. Shyne Brenton, at the age of just 13, became her mother’s carer, taking on a load of responsibility, her school holidays were committed to being a full-time carer. Shyne ensures medication is taken, bills are paid, organises transport, along with cooking, cleaning, bathing, shopping and taking her mum to appointments. On top of all of this, she is committed to her hockey and was named the Young Carers representative for the Australian National Young Carers Action Team, to assist in issues relating to young carers. Donald Young, for 11 years has been involved with the YMCA Youth Parliament, first as a volunteer and now as a Youth Parliament Coordinator. Donald’s experience also extends as a board member of the YMCA and Department of Legislative Assembly for which he works over 15 hours a week on a volunteer basis. Through the YMCA program Donald ensures that the young people of the Northern Territory are portrayed through the media in a positive light, through educating the media on the fantastic and positive things young people are involved in. Aaron Watson of Darwin, contributes positively to the community in many ways, some of the organisations Aaron is involved with is the Red Cross, St Vincent de Paul and the Melaleuca Refugee Centre. Aaron spends a lot of time with the Sunset Outreach Program which provides food to the homeless and disadvantaged. Aaron's more recent involvement has been with the Red Cross as a member of the Youth Education and Services Advisory Committee, where he volunteers at schools, as apart of their "Breakfast Clubs". Jessica Mauboy of Wulagi, has performed at many community and festival events in Darwin and was nominated for the Tamworth Country Music's Festival Golden Guitar Award. More recently, Jessica won the nations hearts as the runner up for the 2006 Australian Idol, she has also recently performed at the Sydney Harbour Bridge 75th Birthday. Tahnee Afuhaamango of Rosebery, is an inspiring young girl. Tahnee is currently a world champion in her field of swimming and recently competed in Ireland at the 2006 DSISO World Swimming Championships were she broke 4 world records and brought home 3 gold, 1 silver and 1 bronze medal. Sashika Richards of Alice Springs, has a strong aptitude and passion for science and the environment and when she won the Heaslip Arid Zone Research Scholarship Sashika's research findings led her to raise many questions about the Bond Springs Station and whether salinity was really a factor in limiting plant growth. Ross Dullard of Elcho Island, worked as a Homeland Teacher on Elcho Island, which at, 24 is quite an achievement. Ross has been influential in increasing attendance at schools on Elcho Island that don't generally have a good attendance rate. He is able to relate and connect with the students and teachers in the area which have assisted in the increase of school numbers and attendance. David Johnston of Alice Springs, is a 16 year old and the youngest member ever to be selected as a member of the Australian Physics Olympiad team where they competed in Shanghai and won the Silver! David has been successful in the construction of a solar tricycle which he hopes the aerodynamic bike will be able to be built to be comparable to other top bikes in the sport and practical enough to use around town. David has also been instrumental in setting up the SunChase competition. Janna Auricht of Alice Springs, has accomplished alot others would only dream of achieving in a lifetime. Janna has had many roles in the Alice Springs as an Adventure Therapist for Youth at Bush Mob, a Guidance Counsellor, Senior Peace and Security officer and a cultural ecological tour guide. Janna has enrolled in a four year course to do Nursing, she hopes to bring these skills back into a region that demands quality health care workers. Janella Ebatarinja of Alice Springs, has been with her local learning centre since inception six years ago, in the last two years Janella was elected as the president of the committee. Her work involves her encouraging her own children and others to school and offering skills such as first aid, arts and craft and courses in numeracy and literacy modules. Janella is a great role model and leader for many young indigenous people. Sara Manning 23 years, is a major contributor to the Tennant Creek and Barkly region, particularly with youth and remote area communities. As manager of Tennant Creek Public Library, she has actively promoted the use of libraries and improved literacy levels. Sarah was a representative on the 2005 Chief Minister’s Round Table of Young Territorians. She is responsible for organising youth activities and is a driving force behind National Youth Week. Sarah is youth leader of the Tennant Creek Youth Development Unit and youth adviser on the Barkly Youth Forum organising / planning committee. Katharina Fehringer 22 years, is known in Darwin as a well-respected classical guitarist, violinist, music teacher and performing artist. She was recently invited to audition for the Royal Academy of Music in London, where she received a guitar scholarship and was invited to record a CD compilation of 19th Century guitar music. In 2005 Katharina was the only Australian invited to perform with The Netherlands Guitar Orchestra touring Europe. Katharina is a violinist with the Darwin Symphony Orchestra, a member of the Charles Darwin University Chamber Orchestra and various other ensembles. Danni Miatke 18, in July 2005, Danni became World Champion in the Women’s 50m Butterfly at the 11th FINA World Swimming Championships in Montreal, Canada. She then returned home to win the 50m butterfly and claim third in both the 100m butterfly and freestyle events at the 2005 Telstra Australian Short Course Championships. Danni qualified for her first long course World Swimming Championships with a stunning victory in the 50m butterfly at the 2005 Telstra Trials in Sydney. She will soon compete at the 2006 World Short Course Championships in Shanghai. Yasmin Antwertinger 26, after completing a Bachelor of Science in Chemistry and Biochemistry, Yasmin developed an interest in environmental chemistry and was offered an honours project by the Charles Darwin University researching the distribution of copper in seawater. Yasmin’s current PhD project investigates the use of corals as bio-monitors of water quality and the marine environment. This study is focused on environmental management and will provide information about past and current pollution levels of Darwin Harbour’s ecosystem. Yasmin aims to become a research scientist in the field of environmental chemistry. Anthony Sherwell 26, started his own business, Terror Byte, at the age of 16 whilst he was a year 11 student at Hight School. In his first 12 months he sold computers and laptops to the staff and students of his school turning over $80,000. After completing a small business management course, Anthony developed his business plan to provide onsite assistance. Anthony and his staff have helped streamline or manage the operations of many local small businesses and have built a mobile computer lab with trainers available to fly to remote communities. Kate Mounsey 26, current PhD research with the Charles Darwin University investigates the issue of emerging drug resistance in scabies. The molecular tools developed in Kate’s project will enable the assessment of drug treatment failures and assist in the development of more sensitive methods of monitoring resistance in the community, including the potential for reversing it. Kate’s work contributes to an overall Healthy Skin program which aims to eradicate endemic scabies in northern Australian Aboriginal communities. She works with the Royal Darwin Hospital to monitor treatment progress and increase public awareness. Rebecca Mahony 26, actively promotes Northern Territory produce and the provision of safe working conditions for the Territory’s harvest industry. She has helped acquire basic infrastructure for rural areas including communications, electricity and suitably sealed road networks which are vital for the safe handling and distribution of fresh food. Recently Rebecca represented the Northern Territory at the National Young Farmer’s Forum in Canberra and attended export market development training. In 2005, she became vice-president of the Northern Territory Mango Industry Association. Rebecca also operates her own successful fertiliser and agronomy business. Alice Chang 25, is known throughout the community for her contribution towards advancing multiculturalism and counteracting racism through the Multicultural Council Northern Territory. Alice is a representative for the Australian Medical Association. She was also a member of the 2005 Chief Minister’s Round Table of Young Territorians and the face of National Youth Week 2005. Recently Alice was appointed as the youth delegate for the Australian National Commission to attend the 4th UNESCO Conference. On returning, she set up a youth network for young Australians to advocate the rights of young people internationally.